I’d known for years that my chemical pool was not cool at all. And pumping the salty or chlorine backwash water towards the wetland was not the way a responsible citizen should behave. I see my neighbours’ water flowing down the street and into the storm water drains. Everything ends up in the environment, always. There is no away on this planet. 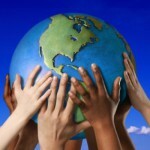 I have written some stories in the past about the effects on the environment and on the human body. They will be linked below this one. Information is power. Something had to be done. So here’s my journey. Nothing is perfect; we experiment all the time. This was 3 years ago and I have never looked back. Off went my chlorinator. If you have a chlorine pool, simply stop your chlorine programme. Then I ran the pump as usual for 2 weeks, the sun evaporating the residual chlorine from the water. Maybe a chlorine pool takes longer – you should experiment. When you reckon the water is free of chemicals, you’re ready for the next step. 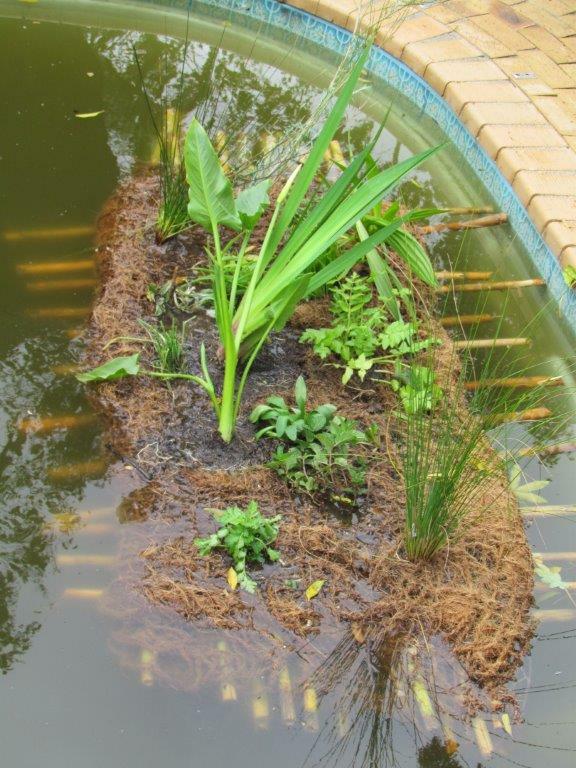 My friend Pierre from Riverside Aquatics constructed a bamboo floating island, propagated with semi-aquatic plants. 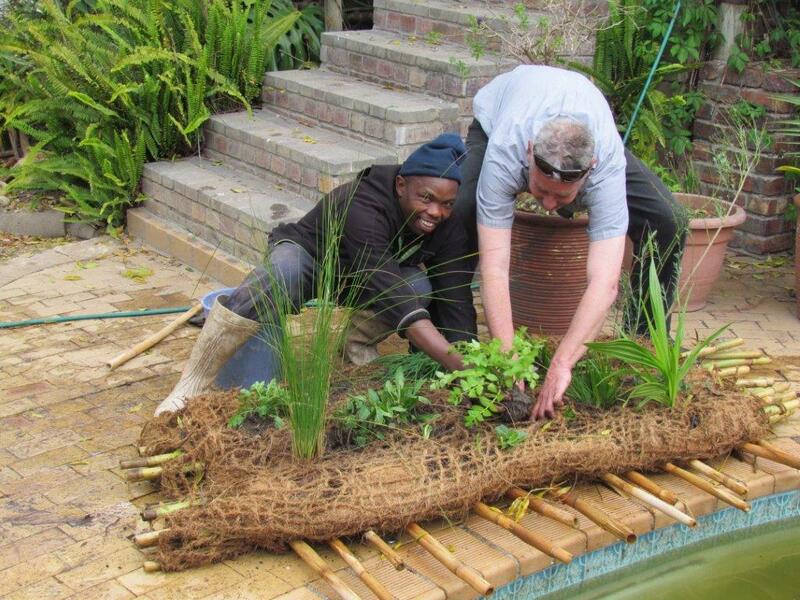 In time the roots grew to the bottom of the pool – creating an excellent filtration system to absorb nutrients from the water. At this stage the pump ran only half the usual time, so we were saving energy. Next we added paradise fish, for they add nutrients which feed the island and help the plants thrive. They also eat the algae and form part of the pool cleaning team. Now I connected my pool backwash pipe to a black pipe, made holes in it and laid it around the garden. So the garden is fed via nutritious water and nothing goes to waste anymore. Now we’re saving water. “Do you guys swim in there?” I am often asked. Of course we do! Would you rather swim in a chemical soup? This water is clean, fresh and energetic. Recently we have also added blue food colouring, which serves a dual purpose: making the water more reflective, which looks great, and cutting some sunlight out of the water, so preventing algae growth. Here is Ruben chilling after a long day posting green news. 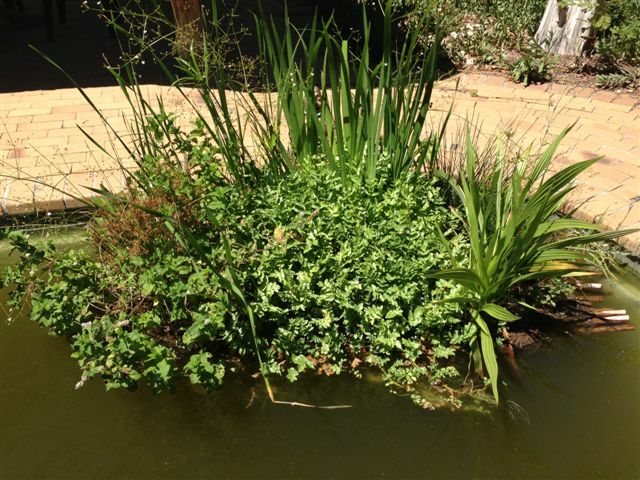 Growing a natural pool is a journey, as it’s alive. Put on the mind of a child and be inquisitive. Nature will teach every day. New critters arrive, things change. What an honour to have a living water system at the centre of an evolving food forest. This has brought us so much joy. I hope you do the same. In spite of water restrictions we pump this sacred water to our veggies. 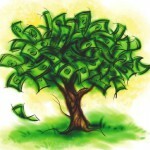 Carry bucketfulls to fruit and nut trees. We are unperturbed, we have water. 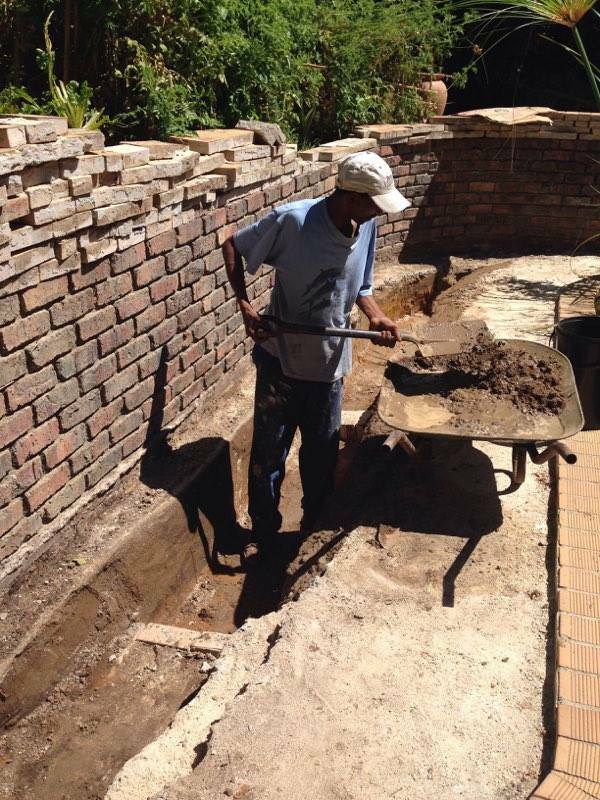 Build your own island, or order one, as well as the natural colourant, called DyoFix, from Riverside Aquatics by contacting Pierre at riverside@wol.co.za, or calling him on +27 21 852 7535 or 0721540717. Hi, do you have to maintain your pool or is it self sustaining? No pump? It looks beautiful. hi Maureen, I have a tiny pump which circulates the water from the pool through the wetland. Then I built a u-syphon which keep the two levels equal through suction, so no energy needed for that. Hence the lowest maintenance imaginable and a fraction of the energy of a pool pump – a pure blessing! I enjoy a new water lily opening every day and more colour in my life.